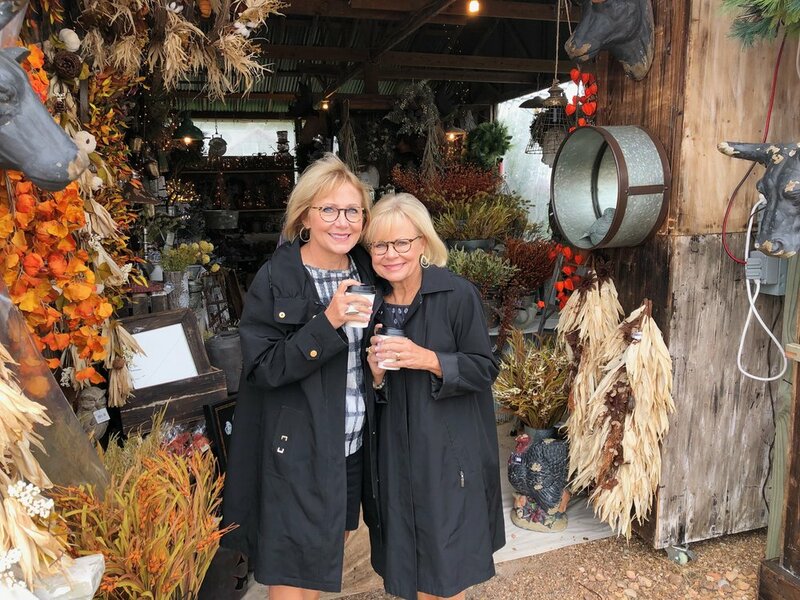 We are thrilled to be able to share this fabulous home with you that we worked on from the ground up in Gadsden, Alabama! The clients were so easy and fun to work with -we not only designed a beautiful home for them but built a relationship that Talena and I absolutely cherish. That is one of the greatest aspects of our business. It's important to connect with your designer so your home can reflect you. ...Of course the outcome of this fabulous home was a huge bonus! 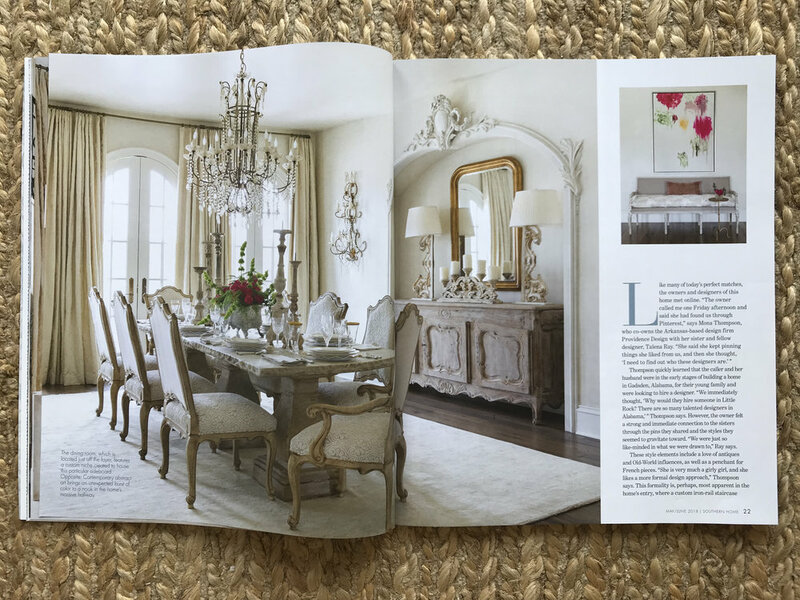 We were fortunate enough to have this home featured in Southern Home magazine for the May/June issue. Just a peek into the feature! 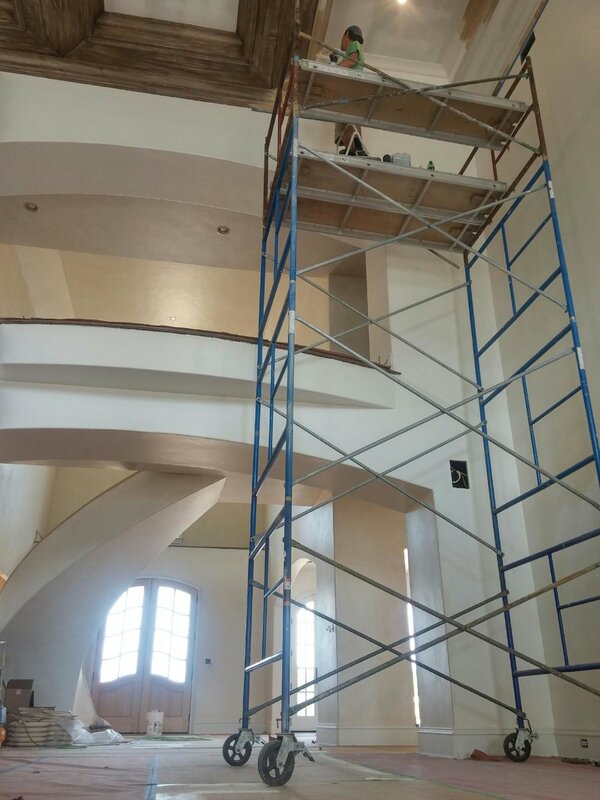 We had custom Iron railing through out the house that was done by Red Mountain Ironworks ... Just look how it creates that extra layer..
We added a finish to this Currey & Co. Chancellor Chandelier for the foyer. It was so hard to find a larger scale fixture but this one was a perfect fit. The home owner knew she wanted a herringbone wood floor in the study. The floor people did an amazing job with the cuts. 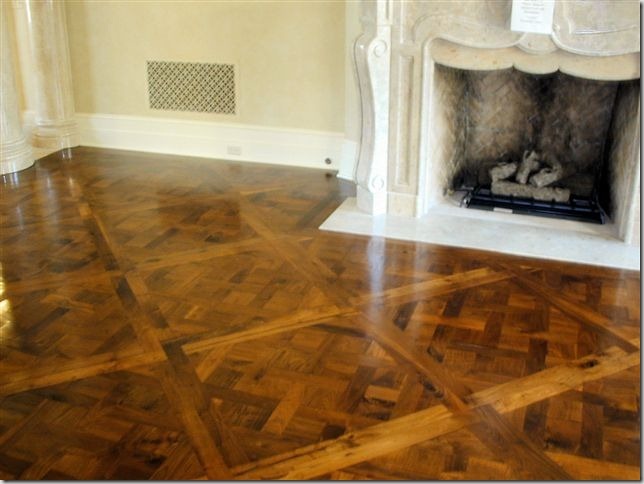 This is authentic reclaimed wood floor is absolutely fabulous! 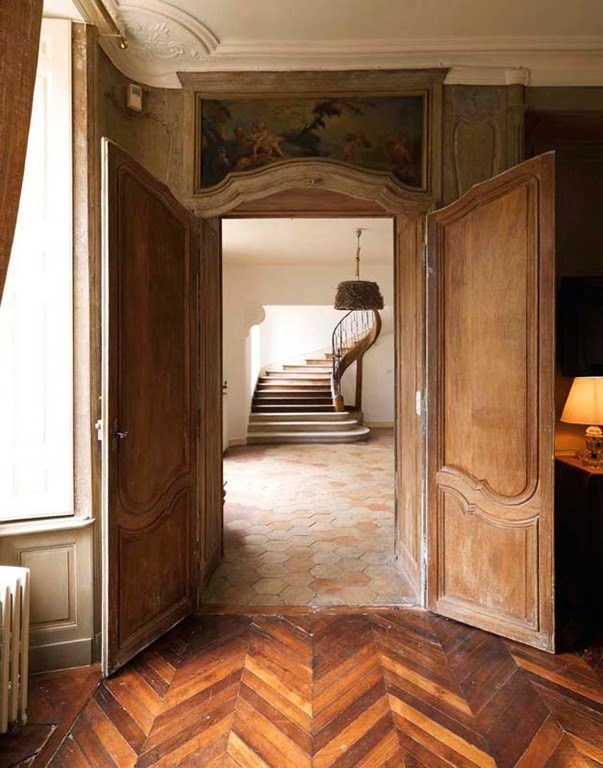 Thought we would share some other inspiration we've seen with beautiful unique wood floors. This detail can be used in a small space or larger area of your home - either way it will make a huge impact. 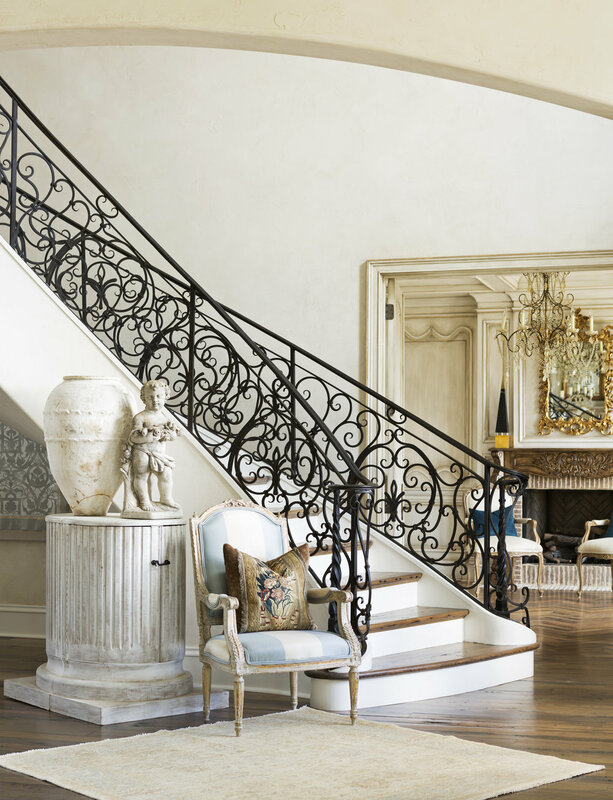 Image Via Things That Inspire Me... Photo By: Blayne Beacham, from a home listed by Beacham & Company REALTORS. Because of its warmth, beauty and timeless quality wood has long been the material of choice not only for floors…But walls as well, We love the character it can add to your walls and so decided to incorporate this element into the Gadsden Study. It was the icing on the cake! 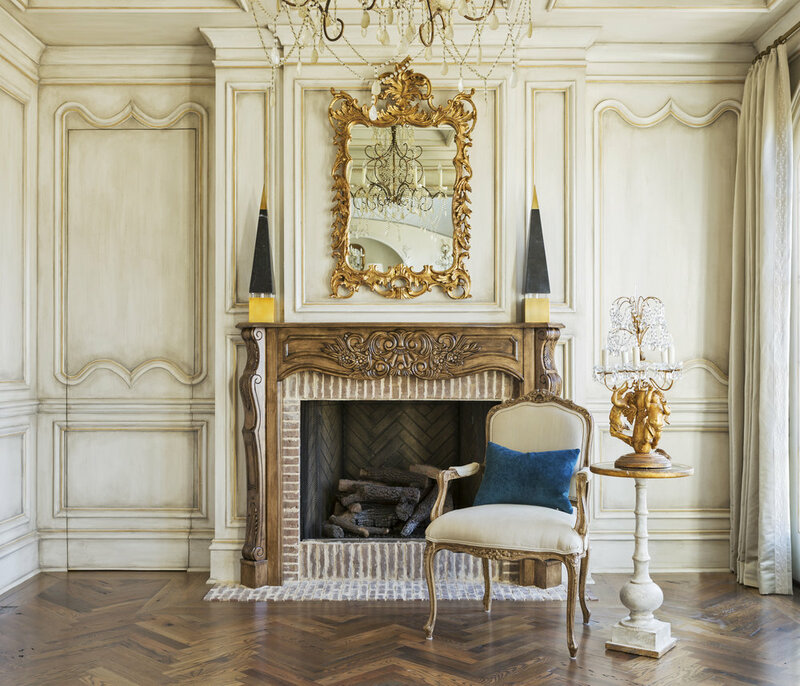 We loved the idea of using this one of a kind paneling like in the Belgian Villa Rozenhout .. what an absolutely fabulous mansion with so much detail its hard to not be inspired. Trish at Trouvais did a whole post on this treasure if you're interested in digging a little further. When we were looking at finishes this Segreto Style cover was one of the first things I gravitated towards. 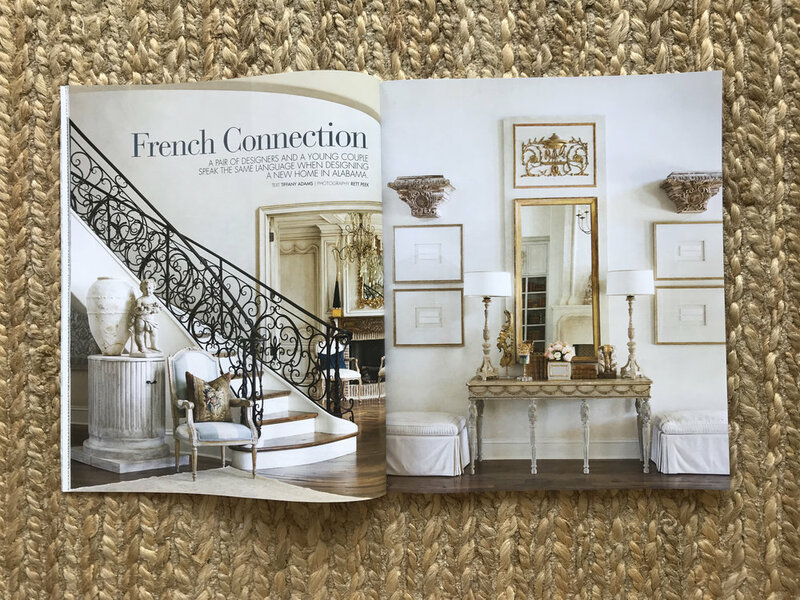 My long time friend and fellow blogger Greet Lefèvre of Lefevre Interiors has such a beautiful home which also inspired this room. This mantel was one of the key pieces in the Study. The contractor hand cut each brick and used a sloppy mortar joint to replicate antique brick. After a lot of looking for antique mantels that were never the right size - you wont believe I found this one from Wayfair that we refinish in a wonderful Mahogany/Walnut blend stain. 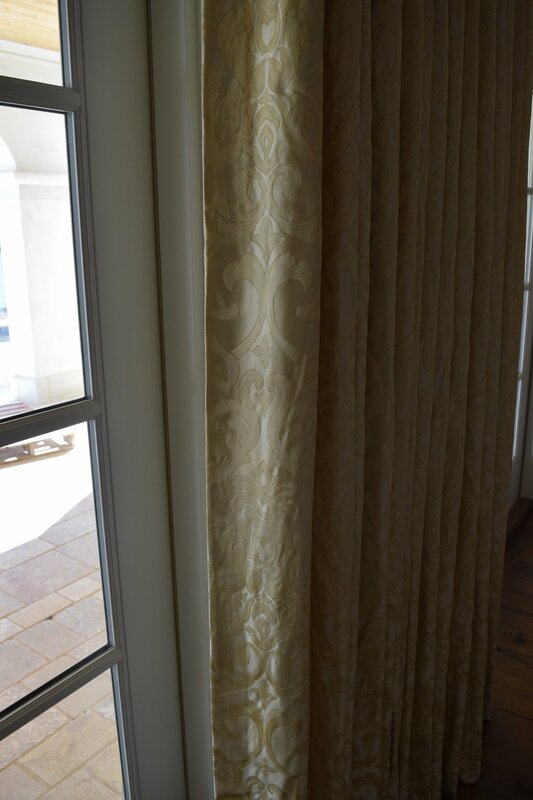 The Draperies were one of the things in this space that we wanted to keep soft and classic. Talena found these beautiful fabrics and tapes from Brimar. They hang so beautifully in the study! There's so much work that goes into every project - just these shelves alone were a task. Our client wanted a grand limestone fireplace with over mantel. They had been shopping vendors in Atlanta for custom new pieces. My research led me to Tony with Ancient Surfaces out of New York. He became an important resource for this home. He not only supplied the living room mantel but we worked with him on the kitchen hood, carved sinks for the powder room, butler pantry and ancient stone for around the pool, all patios, and driveway. The mantel in the living room was hand carved in Europe and a copy of an older piece in their inventory. Next for the built-ins from beginning to end we wanted bookcases filled with beautiful antique books and little else. We hand selected over 1,500 antique leather books to fill the shelves. I found an antique crown from Reborn Relics in Little Rock and had them make the mold for two matching pieces to build into the top of the book cases. Aric and his team with Phinality Design from Little Rock created the perfect finish to complete the look. 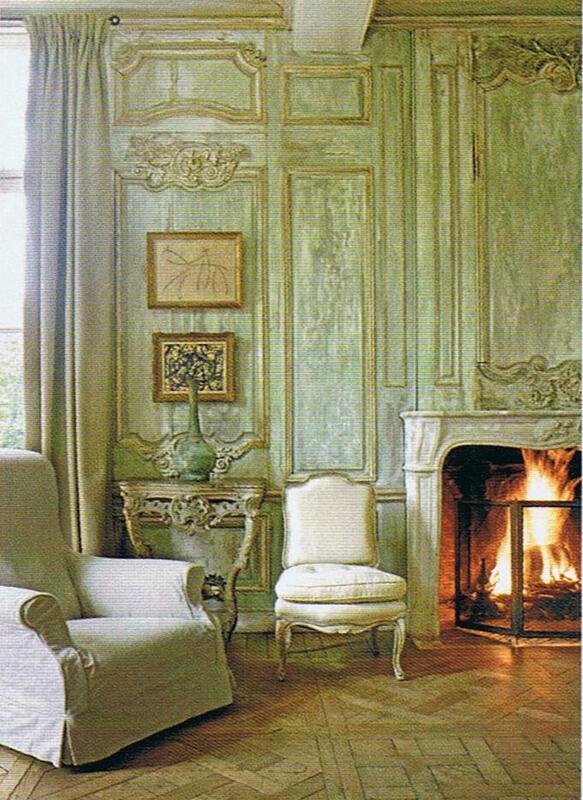 Below: I just loved this gorgeous mantel... I've done a lot of work with Antique Surfaces and this mantel looks just like the one I envisioned.. it couldn't be more perfect for this space. 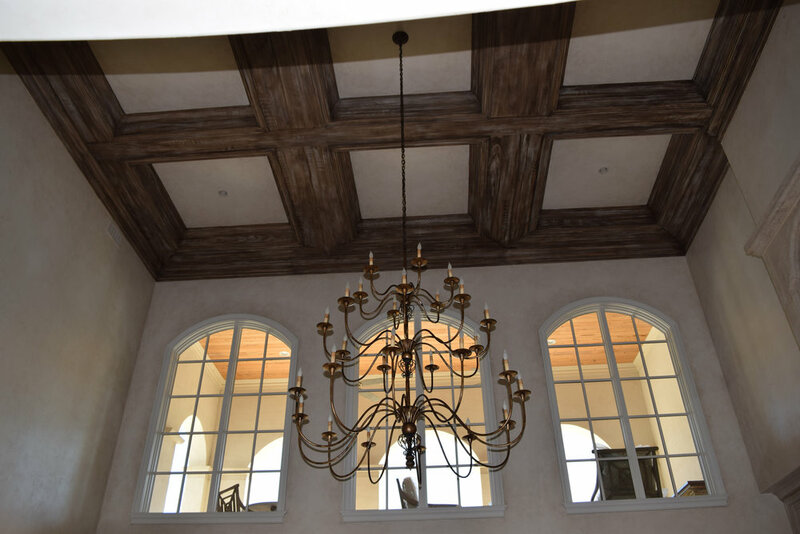 What's more beautiful than a well done Coffered ceiling? I mean just looking at it during the building/painting phases is hard not to get excited...! Once again ...Aric and his team did a fabulous job - that's why we love working with him.. he truly is the best. 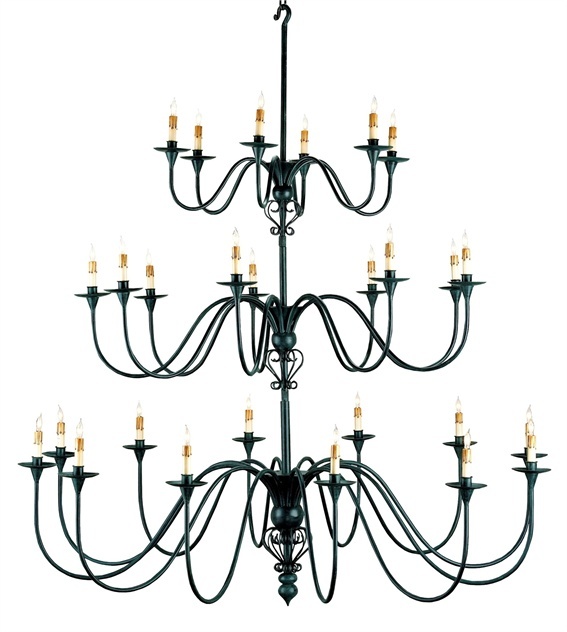 Formal Living room TITAN CHANDELIER from Currey & Co . Perfect size and scale - We changed the finish to a beautiful gold. We added trim detailing to the sofa pillows..
More to come.... Breakfast, Hearth, Kitchen... cant wait! It's your turn! Lets talk! Rugs - Martinous Oriental Rug Co.